The FR920HE “Hole in the Wall” Gas Fire has all the looks of a wood burner with the convenience and low running costs of a gas fire. 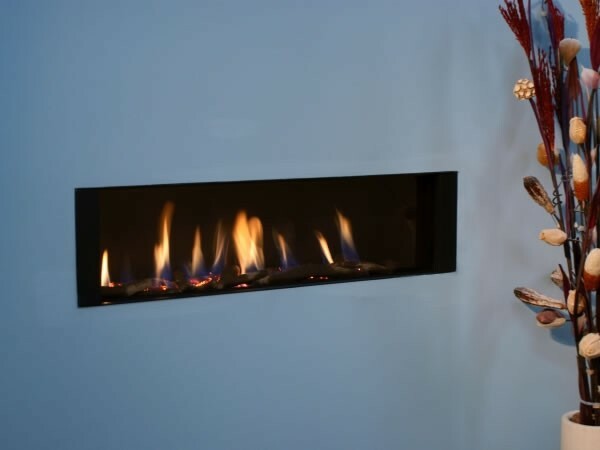 This modern remote control fireplace is built to the latest energy efficiency standards and is tested to both the British and European safety standards. The fire can be installed in any existing chimney and has minimum depth or can be used with the special adapter which covers the fire to a cartridge for use with a flue liner. 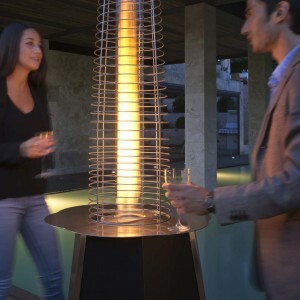 The fire has a 6.1Kw gas burner and will provide up to 4.8Kw into the room. This design does not require any air vents in the room. The FR920HE High Efficiency “Hole in the Wall” Gas Fire has all the looks of a wood burner with the convenience and low running costs of a gas fire. 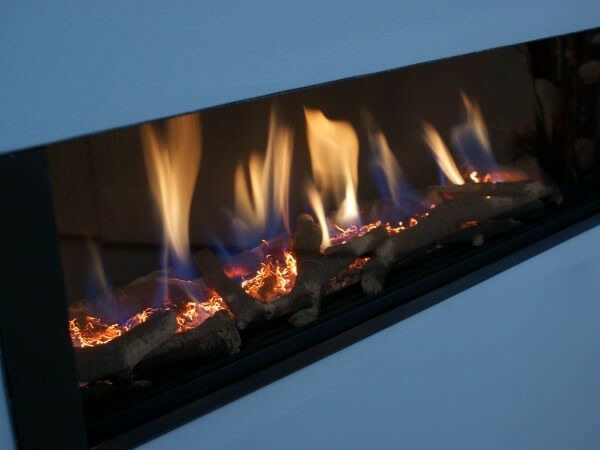 This modern remote control fireplace is built to the latest energy efficiency standards and is tested to both the British and European safety standards. The fire can be installed in any existing chimney and has minimum depth or can be used with the special adapter which covers the fire to a cartridge for use with a flue liner. The fire has a 6.1Kw gas burner and will provide up to 4.8Kw into the room. This design does not require any air vents in the room. Gas Type: Natural Gas BS7977 -Natural Gas EN613 with Flue Box Fitted. Optional Fascia: 4pc Black Granite, 4pc Limestone. Flue Box: There is a special adaptor available which converts the standard BS7977 chimney version of the fire to a European EN613 flue liner system. If you have a new build property without a chimney you will need to use the spigot box adaptor and a flue liner. 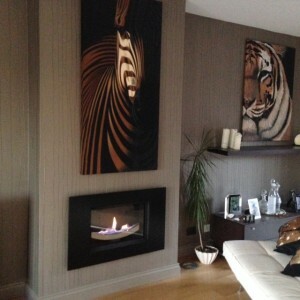 The chimney breast is then built as a stud wall around the fire. 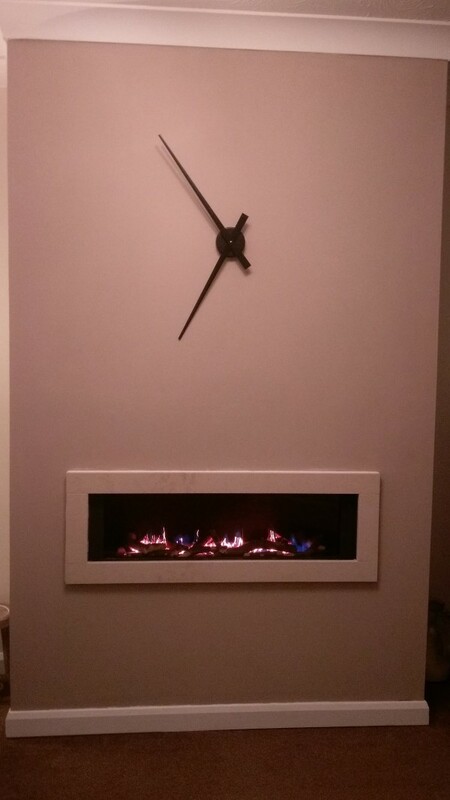 FR920HE : High Efficiency Gas Fire with Glass Front. 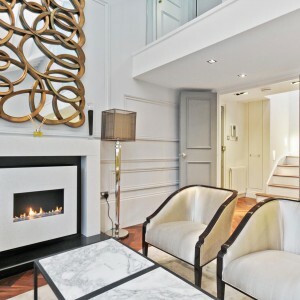 This contemporary gas fire design is tested to both the latest BS and CE safety standards. Suitable for installation into any home with an existing chimney or in a new build property using the special adapter and a flue liner. The FR920HE fire is operated by a battery remote system with RF handset operation. The handset has a thermostat function to control room temperature and increase energy saving. This glass fronted, high efficiency, gas fire on full will provide 4.8kW of heat into the room. by using the hand set the heat can be adjusted down in 8 steps from high.The gas fire is CE approved to the latest energy efficiency standards, both BS7977 and EN613 standards and can be installed in any Class 1, Class 2, Pre-Cast or with a 125mm flue pipe system. 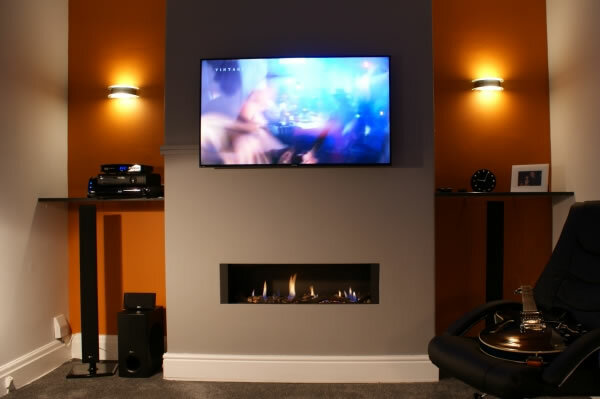 BS7977 – this version can be installed as a cartridge into a fireplace opening like a brick built chimney breast. 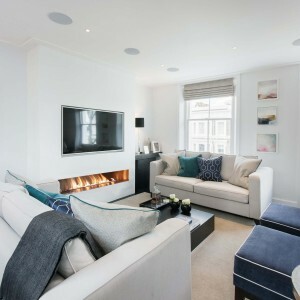 EN613 – this version is supplied with a special gather unit fitted to the fire., The fire is then installed using a 125mm flue liner and a false chimney breast is built around the fire. Our old house had all the fireplaces ripped out so the first thing we did when we moved in and renovated the lounge room was to build in a new fireplace using this fire. I love it – it’s the best part about winter and it keeps our room toasty.